Kingshill is a first floor 2 bedroomed duplex apartment, accessed by stairs, situated in Salthill, County Galway. 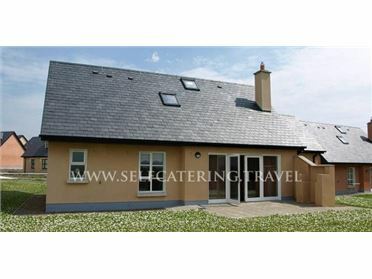 Beside all amenities and on the door step of Galway city. The master bedroom is en-suite with a TV. There is also a second shower suite. The Kitchen/dinning room is fitted in lime oak and there is an open plan lounge. The apartment is fully furnished and includes a microwave, washer, dryer, dishwasher, TV, DVD player, intercom. The eye catching interior design is fully coordinated throughout. Discounted rates for multiple weeks negotiated by ringing the owner on: +353 (0)86 831 4407. Rates are increased for Race Week. It's hard to beat Salthill's location. Situated on the northern inner shore of Galway Bay, the Aran Islands are visible to the right and Galway City 'The City of the Tribes' to the left. Directly across Galway Bay is the Burren (County Clare) and to the west are the bogs and mountains of Connemara. On a clear day you feel as though you could reach out across the bay and touch the Clare hills though there are also many days when you can't see them at all. There's an old expression which goes, 'when you see Aran and the Clare hills it's a sign of rain and when you can't see them, it's actually raining!